"The average student goes into a Hypnotic state 112 times a day." Many people mistakenly believe that hypnosis is some weird unnatural state. Not at all. It is a perfectly natural altered state of consciousness which we all enter several times a day eg daydreaming, driving whilst talking or listening to the radio and being engrossed in a TV programme or film. A stage hypnotist talks people into a hypnotic trance for entertainment purposes but the same trance state can be used for beneficial purposes in hypnotherapy, such as removing bad habits, teaching pain control or overcoming phobias. Studying for most people is an engaging time of expanding the mind and learning new information but for some, all that reading and writing essays then cramming for exams can be stressful. Whilst some sail through with top grades, most would benefit from less stress. Learning self-hypnosis can be most useful in reducing stress and actually helping the mind to absorb information. Hypnosis is even used to aid the learning of foreign languages. I knew of a languages school in Spain which ran an intensive Spanish programme using hypnosis to speed up retention of the language. Rehearsing the exams situation, seeing yourself be calm and recalling the information is very beneficial. Hypnosis is used in a similar way to improve sports performance. Knowing how to play tennis to a high standard is one thing but mentally seeing yourself serving well and placing the ball outside of your opponent’s reach is a large part of success. Top athletes in many sports use hypnosis to their advantage. It is also used to motivate an improvement in performance. Going back to exams, hypnosis is used to mentally prepare and rehearse driving tests and flying tests. I once helped a man who had failed the test for his Private Pilot’s Licence (PPL) three times. This was costing him a great deal of money so he came to me for hypnosis and successfully flew through the exam. Excuse the pun! Hypnotists can work with children over the age of seven and children make very good hypnotic subjects as they are so creative and use their visual imagination well. They love being taken for a “ride on a flying carpet” or seeing themselves “as a hero scoring the winning goal.” As well as helping with studying and helping to cope with exam nerves, hypnosis boosts self-confidence and we can always do with a little more confidence. Have you thought of helping your child achieve their best results with hypnosis? Antonia Harrison is a Consulting Hypnotist based in Portsmouth (UK) who also helps people worldwide via Skype Hypnosis. Visit http://www.EnglishSkypeHypnotist.com for more information. 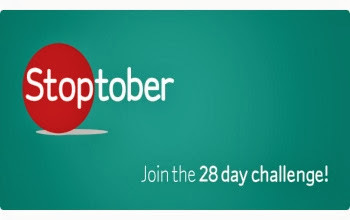 Smokers in the UK are encouraged to stop smoking for 28 days in October 2013. If you can stop for 28 days you are five times more likely to stop for good. "During the Stoptober 2012 campaign, a staggering £25 million was saved by the 160,000 people from not buying cigarettes. Chief Medical Officer Professor Dame Sally Davies said: “Half of all smokers die as a result of smoking, this is the single biggest cause of premature death taking more than 100,000 lives in the UK and costing the NHS up to £2.7bn each year. It is estimated that you add an additional seven days of life for every 28 days you remain smokefree. That is the good news but stopping smoking by willpower alone is hard, very hard. The extremely addictive drug of nicotine does not give up easily as anyone who has tried to go "cold turkey" will tell you. Nicotine replacement products might help kick the habit but they keep you addicted to nicotine. I know someone who has been chewing Nicorette chewing gum for 15 years and the gum has been linked to oral cancer. I encourage you to stop smoking in October but do it the easy way with safe, natural and effective hypnosis. The average smoker smokes a packet of 20 cigarettes per day at £7 so spends about £210 every month ...of net income. Stop smoking with me and donate what you would have spent on smoking to a great charity. I recommend Brainstrust which helps patients with brain tumours and their carers. The legendary Milton Erickson is considered the Father of modern hypnosis. He was a master of using stories in therapeutic sessions and this approach is now called "Ericksonian Hypnosis". But none of these stories were as compelling as his famous "tomato plant induction." Years ago, Dr. Erickson was asked by a family of a cancer patient to ease his unbearable pain. Like most cancer patients, he was highly medicated, yet the pain was uncontrollable. familiar with -- tomato plants. Dr. Erickson spent hours talking about tomato plants with the man. He talked about how they grew, flowered and how to produce superior tomatoes. As the man's family listened in the adjoining room, they became most impatient and angry! When was the famous Dr. Erickson going to start using hypnosis to ease his pain? to demand he start treating their relative right away. But as they entered the room, they realized their beloved family member was in a beautiful, deep trance. So deep... he did not even notice a throng of family members pile into the room! After these "tomato talk" sessions the man's condition improved DRASTICALLY. What is the lesson you can draw from this seemingly unconventional approach? You can weave ideas, suggestions, even outright directions on ANY theme within the context of ANY story. Do Spiders Make Your Heart Pound With Fear? The thought of spiders has always frightened me. Even the small harmless ones. It was no use telling me they were more afraid of me than the other way round. As a child I even screamed at the sight of a money spider and my family had to call them “freds” because I could not even bear to hear the word “spiders”. My father bought a boat for weekends and holidays away and spent every morning with a broom pushing the spiders into the water before I saw them. In my 20’s I came home one evening and found a large spider on the upright tread of a stair on the staircase as I came through my front door. Immediately my heart started pounding. I sat down with a large glass of wine and realized that my nearest friend was an eight miles round trip and I could not ask someone to help a damsel in distress for such a reason. I had to pluck up courage to sweep it into a dustpan and run up the road with it, hoping it would not find its way back. Or worse still, its brothers would come looking for it! Watching my son become afraid of spiders which frequently entered our house as we lived in the woods made me decide it was time to apply self-hypnosis and the NLP Fast Phobia Cure on myself. I did and it was not scary or unpleasant. A couple of weeks later, I faced my old fear and had a tarantula put in my hand. I still think they are ugly but there was no pounding heart or screaming. Amusingly, people now call me to remove spiders. One week later a prospective client called for help with her fear of creepy crawlies especially spiders, cockroaches and locusts as she was being sent on her dream post in Africa. We processed the therapy and afterwards both sat down and looked at a box of spider photos. Both of us remained calm. I have helped people with all sorts of fears and phobias easily, in a relaxed way, usually in 1-2 sessions. These included heights, flying, tube travel, motorway driving and the dentist. 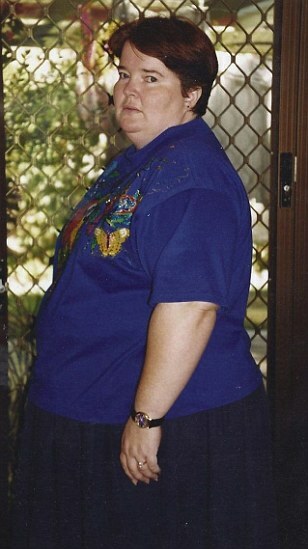 A recent article in the Daily Mail featured a 27 year old teaching assistant who lost five stone and went from a size 18 to a size 6. 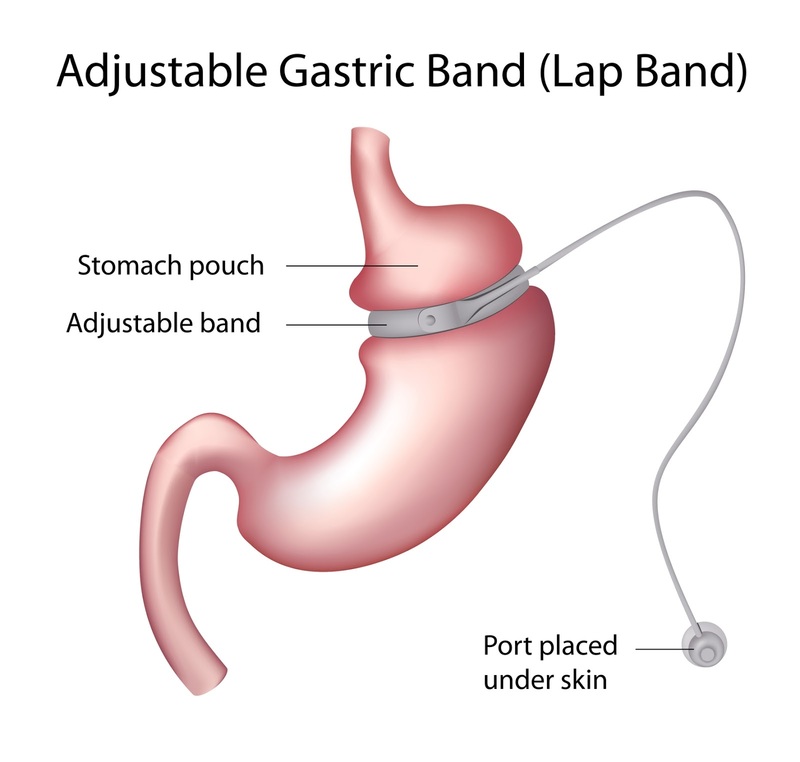 I offer Gastric Band Hypnosis to clients either at my home office in Portsmouth, Hampshire, UK or anywhere in the world over Skype. 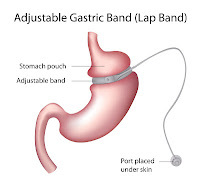 You can read more at Gastric Band Hypnosis. Why put up with obesity when there is a natural way to solve your problem? As a professional hypnotherapist helping many people with a variety of problems, I recognize that not everyone can afford one-to-one help. 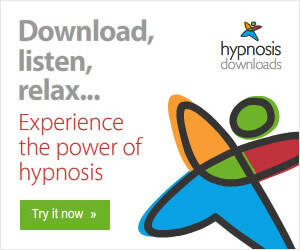 To make hypnosis affordable and accessible to everyone, Hypnosis Downloads produce an extensive list of Download hypnosis MP3s which you can listen to on your iPod, your Smart phone, your computer or burn to a CD. You then have them to listen to again and again should you so require, particularly the ones about relaxing or de-stressing. Just make sure you do not listen to them when driving! Most single subjects cost just few a pounds. They do supply the MP3s on a CD if you cannot or do not wish to download them. I really recommend Hypnosis Downloads. I use some of the MP3s myself eg 10 Min Power Nap and Tinnitus Treatment. This last one really helps me cope with the constant gushing noise in one ear following surgery. 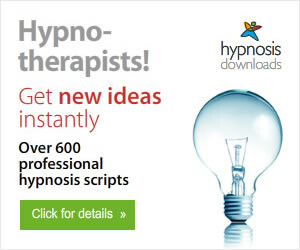 We've served over 500,000 hypnosis downloads and are the biggest hypnosis provider in the world. Over 600,000 people have taken our email courses since 2000 when we launched our online business." There are also some subjects for children. Children really enjoy hypnosis and we usually recommend that they be at least 7 years old so that they can concentrate. 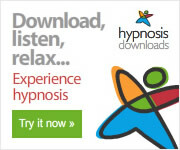 Have a look at the wide variety of MP3s offered by Hypnosis Downloads. There are bound to be some that catch your eye and I know you will find them useful. Just being in a wonderfully relaxing hypnotic state is a feeling you will enjoy. Antonia Harrison is the English Skype Hypnotist offering Freedom from bad habits, addictions and fears to clients in the UK or worldwide over Skype. You want the best for your children and it pains you to see them unhappy, without friends, struggling at school, lacking confidence or plagued by an unwanted habit, fear or phobia. Talking to them does not solve the problem and the doctor just says they will grow out of it. But you want to help your child now. Good. I can help. I am a Mum and know how precious children are and have lots of experience helping children using hypnosis. Children really enjoy hypnosis. They love the “magic chair”, pretending to “fly on a magic carpet” or seeing themselves “scoring the winning goal”. Any parent knows that children pretty much live in a trance state. Call it daydreaming if you like but they can easily be somewhere else in a flash. 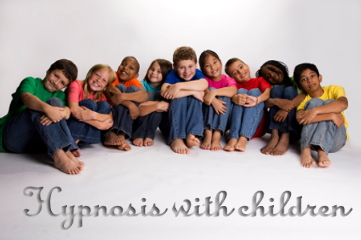 In fact younger children can enter hypnosis with their eyes open and not even sitting still. Children also respond well to hypnosis and there are several key areas which bring effective results ie habits; self-confidence and overcoming shyness; coping with pressure at school and exam nerves; coping with divorce or death in the family and chronic health conditions. 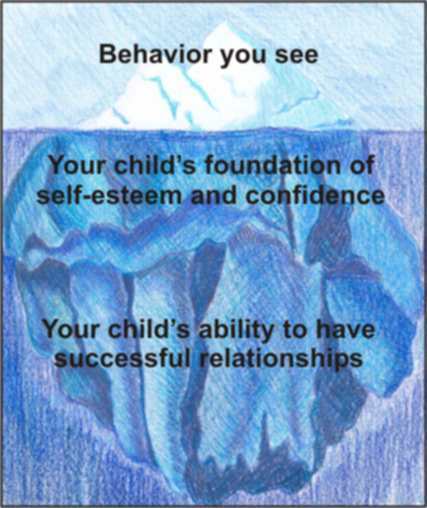 As with an adult, there is far more going on in the subconscious mind (below the water) than in the conscious tip of an iceberg (above the water). Even at a young age, a child has already clocked up thousands of experiences, any one of which could be causing a problem. You only have to read how big a problem child obesity and eating disorders are becoming to know that is true. What sort of problems do I help? Habits eg bedwetting, thumbsucking, hairpulling. Fears and phobias such as spiders, dogs, school, needles, blood, medical treatment, the dentist, the dark. Weight problems, obesity, eating disorders ie anorexia or bulimia and fussy eating. Children can be badly affected by divorce, arrival of a new step-parent, a new sibling or a death in the family. I know. 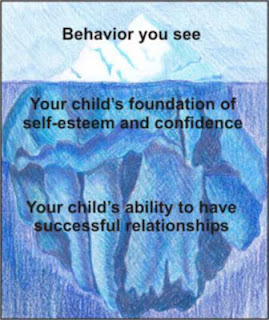 Don’t let your child carry these issues into adulthood and affect their relationships. Children can hate school because they are being bullied, are left out, are shy or a favourite teacher has left. They cannot concentrate because the teaching methods do not match how they need to learn. That is where my NLP skills can help. Children are under tremendous pressure in these uncertain economic times. Competition is fierce and the need to do well at school is paramount. Some sail through but many suffer from stress and bad exam nerves. Occasionally we hear the sad news of a teenager ending their life because of the stress. It can be avoided. Whatever problem your child has, I would like to help. I have the knowledge and experience to do so. We can do this face-to-face in the UK or over video anywhere in the world. "If only I could find a way to......" We know what we want but somehow cannot quite achieve it. Why is this? 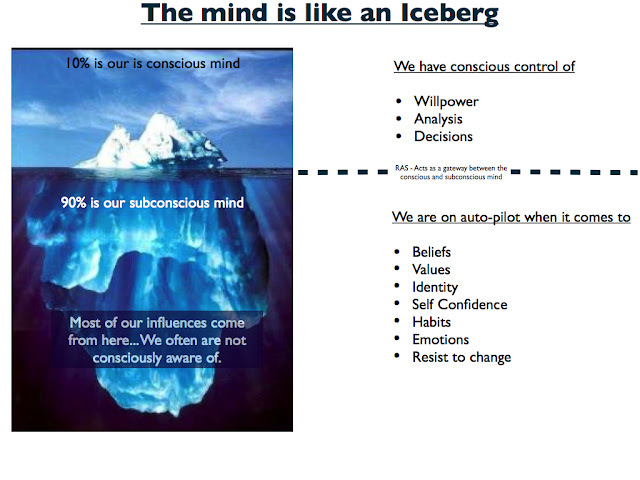 Only 10% of our brain is conscious thought ie the bits we control. The other 90% is unconscious or subconscious and hidden deep in our mind. It is said that every person we have ever seen, every doorway we have walked through, every comment we have ever heard etc - are all stored deep within us. You know the feeling when you cannot remember a name or a word and say, "Oh, it's on the tip of my tongue" then hours later you remember? 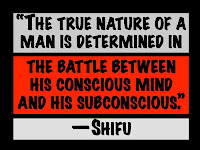 That is dragging the information out of our subconscious mind. We never really forget anything. Everything we learned at school, every word of a foreign language - it is all there somewhere. A lot of this information is positive but much of it is negative. Throwaway comments made about us as a child. Other people's beliefs we heard. All of this impacts who we become, the values and beliefs we hold and the habits and behaviours we develop. We know we want to lose weight yet yo-yo diet for decades until we find out that it all goes back to a comment made when we were 12 which was forgotten consciously...but stored unconsciously. 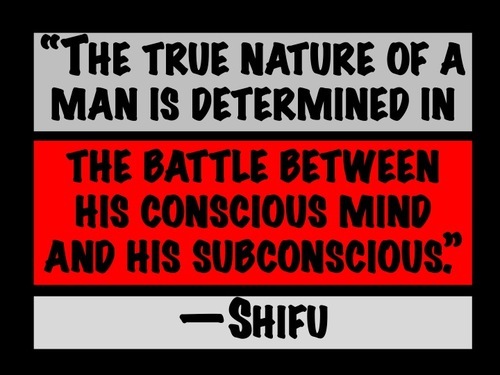 It is like a battle between the two parts of the mind only as the subconscious mind is so much larger and outside our conscious control, we do not even know what we are battling against. The good news is that hypnosis can help reach that subconscious mind and rewrite the programming. Under deep physical and mental relaxation, hypnosis bypasses the critical factor between the conscious and the subconscious allowing positive hypnotic suggestions to replace the negative ones. All permanent change must take place at this subconscious level. Saying affirmations over and over, day after day, may eventually get through but hypnosis can make the change quickly, often in just a single session. Hypnosis works with your own powerful subconscious mind to stop smoking in one session; shed unwanted weight and finally control your eating habits; overcome fears, phobias and habits; give you greater self-confidence; improve how you cope with stress, worry, anxiety and change and improves many stress-related health issues. Hypnosis is suitable for everyone over the age of seven and children really enjoy hypnosis. When would now be a good time to change? Even famous singing stars can feel terrified when invited to perform live at major events. Panic and insomnia set in. A pounding heart, clammy palms, sweating and the terror can affect voice quality. Why would that be when they have performed live so many times? Maybe it is the thought of performing in front of thousands or even millions if a global televised event. Stage fright can even be so bad that it causes a performer to vomit in the lavatories before appearing on stage. However, visiting a hypnotherapist is a good solution to calm nerves and overcome the stage fright. Under hypnosis, events and situations do not seem so scary so you can face whatever it is that you are afraid of whether that be fear of heights, flying, spiders, public speaking or in this case - singing live in front of millions. The hypnotherapist uses a process of detaching you from reality so that you become desensitized to whatever is making your heart beat too fast. The result is that your mind is reprogrammed to see the object of your fear in a non-scary way and maybe even enjoy the experience. Once the mind is re-programmed at the deep unconscious level where all permanent change must take place, life will never be the same. I know because I overcame my life-long phobia of spiders through self-hypnosis. An opera singer once approached me for help with her stage fright. Her contemporaries were coping with beta-blockers which are prescribed to cope with the physiological symptoms of the "fight or flight" response (pounding heart, cold/clammy hands, increased respiration, sweating, etc.) The symptoms are significantly reduced, thus enabling anxious individuals to concentrate on the task at hand. However, Wikipedia (1) quotes the following adverse drug reactions (ADRs) associated with the use of beta blockers include: nausea, diarrhoea, bronchospasm, dyspnea, cold extremities, exacerbation of Raynaud's Syndrome, bradycardia, hypotension, heart failure, heart block, fatigue, dizziness, alopecia (hair loss), abnormal vision, hallucinations, insomnia,nightmares, sexual or erectile dysfunction and/or alteration of glucose and lipid metabolism. They must also not be prescribed if the patient suffers from asthma or takes cocaine. 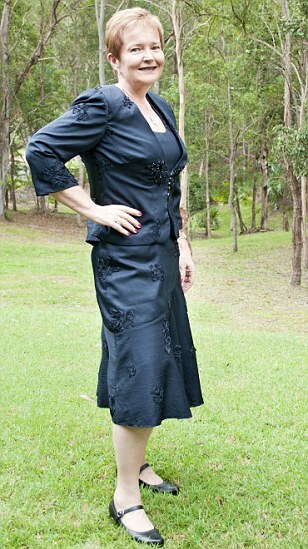 So this very sensible opera singer preferred to learn how to overcome her stage fright with natural, relaxing hypnosis. Hypnosis is available now through Skype for anyone who wishes to overcome stage fright or any fear, phobia or anxiety state. This takes place in your home or office over Skype anywhere in the world. You will be guided into deep mental and physical relaxation and in this wonderful state the uncomfortable anxiety is replaced with cool, calm, relaxed confidence. Hypnotic suggestions are installed and techniques offered for you to easily recall these feelings whenever needed. 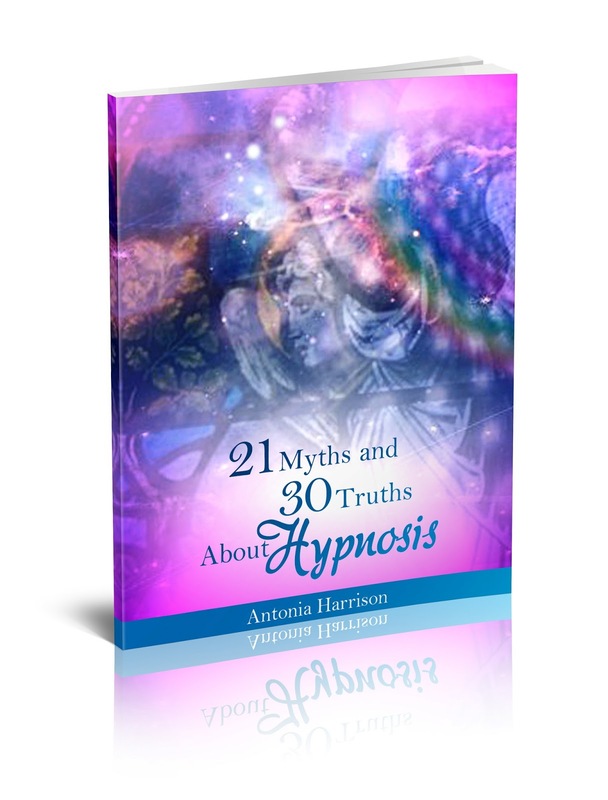 What Are the 21 Myths and 30 Truths About Hypnosis? I first had the privilege of working with my first client using hypnotherapy in 1990 - 23 years ago. Over the years, I have experienced change first hand with people. Some of these people were desperate having spent years and a huge amount of money seeking help elsewhere. There is nothing more rewarding than hearing those simple words, "Thank you for all you have done for me." The truth is that I do not have a magic wand but work with my client's own inner resources to effect change. Sometimes what needs to be changed is so obvious to me that I wonder how the person has not found the solution themselves but of course that is problem; we can become so invested in our own problem that we cannot see any way out, or simply refuse to believe there is a way out. When someone says, "I've tried everything and I finally found what I needed", then I know my day was worthwhile. Yet despite all the evidence of hypnosis being such a powerful tool for change, I still hear such nonsense and false beliefs about what hypnosis is and more amusingly, what it isn't. I wanted to dispel these myths once and for all and counter them with some truths about the simple truths and how hypnosis is used everyday, somewhere in the world, for an amazing variety of applications. You may know that hypnosis is effective in stopping people smoking - in fact the most effective method there is - but did you know that hypnosis is used to help the process in a woman's mind who is undergoing fertility treatment to fall pregnant? We call this simply Hypno-fertility. Or that hypnosis is now medically recognized in the UK as helping sufferers of IBS (Irritable Bowel Syndrome). 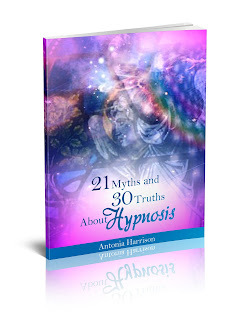 I have written an e-book "21 Myths & 30 Truths About Hypnosis". You can receive it free simply by visiting www.21HypnosisMyths.com You will also receive occasional information from me in your email inbox about applying Hypnosis, NLP and Personal Development to effect the change you want in your life. Click here to visit www.21HypnosisMyths.com now. For confirmed alcoholics, total abstinence from alcohol may be the only option. However, for many, controlled drinking or moderated drinking may be the goal. I would be happy to work with you and help you become sober and in control of your drinking. A client in Belgium once told me he wanted to be able to drink a couple of Belgian beers and enjoy them rather than drink five or six and wake up in a pool of vomit with a hangover. Of course, alcohol is easily available, relatively cheap and portrayed as part of adult socializing. For most people, alcohol moderation is not an issue. They can enjoy a drink or two and know when to stop. I want to help the people who have crossed the line or are concerned that they may be about to. Most alcoholics or people with uncontrolled drinking are normal everyday functioning people, often with professional and family responsibilities. It may be your neighbour, colleague or relative and you don’t even realize. Alcohol can cause cirrhosis of the liver, heart failure, depression, anxiety and damage to the brain and nervous system. It is really not worth it. For Muslims, drinking alcohol is forbidden because they know that it alters your state, the real uninhibited person appears who may behave in a rude, violent or aggressive way when alcohol is in control. Some people become very emotional and some pass out, vomiting. The contraceptive pill is not effective for the rest of the month if a woman has vomited which is how some unwanted pregnancies occur. I combine advanced hypnosis with NLP and Timeline to change the faulty mental conditioning and boost your willpower. When your “childish” unconscious mind knows that this uncontrolled habit is not helping you but doing you harm, it will adopt change like switching on a lightbulb. Cravings disappear, your willpower is strengthened and you find new alternative behaviours to replace that automatic reaching for a bottle (or can). Your self-confidence and self-esteem probably need a boost. Certainly your self-respect. You don’t need alcohol to be an emotional crutch. If there are reasons for your drinking, relaxation techniques will help us to access the root cause for the addiction in your unconscious mind so that we can deal with them. You may be facing an emotional problem and hiding from it rather than dealing with the consequences. Life throws us bad situations and stressful circumstances but it is not what happens so much as how we respond that matters. I change the story about “needing a drink to cope” to more positive feelings about yourself. Whereas drinking used to be for escape, we replace that running away with confidence, strength and self-control. Together we create better coping strategies and attitudes towards alcohol. It is not your friend, any more than a cigarette is a friend. They are both harmful, addictive drugs. Cutting down on your alcohol consumption will also help you with better sleep, appetite, concentration and decision-making skills. Today can be the day when you start loving yourself and appreciating yourself for the really good and intelligent individual that you are. It is time to take action. An allergy is an overreaction on the part of the immune system to things that were not necessarily dangerous in and of themselves, but that at one time your body thought they were. Allergies such as hayfever are traditionally treated with a strong antihistamine. The medicine is relatively effective, but it dries out the nasal passages and throat and can be very uncomfortable. Is it possible to use our own powerful mind to treat the allergy? Apparently, yes. NLP is about human excellence, about how to change limiting beliefs and attitudes to restore health and maintain happiness. Our programming, which defines the models of the worlds we create in our lives. NLP is known for modifying many behaviours through anchoring of a positive state in the predominant V-A-K senses ie Visual-Auditory-Kinesthetic. NLP can help in situations like public speaking; a salesperson can identify a purchaser’s buying strategy to understand what would be the best approach in selling and a teacher can use NLP to help students learn in the way which is best for them individually. The NLP Fast Phobia Cure can remove a phobia within 15 minutes. I know because I have used it successfully with many clients and used a combination of self-hypnosis and the NLP Fast Phobia Cure to overcome my life-long spider phobia. Yes, there are many widely known applications of NLP but I want to look at a little known area: NLP for Allergies. This method recodes how the person’s T-cells flag an allergen in the their immune system. Allergens that were marked out as harmful by the person’s immune system are, after the NLP allergy process, treated as they should be ie they aren’t flagged any more. 1. Associate into the memory of an allergic reaction. 2. Establish an anchor [A1] for a dissociated state. 3. Establish a desired state anchor [A2] for how the explorer wants to respond. 4. Establish an anchor for several counterexample reference experiences [A3]. 5. Check for any secondary gains or ecology issues regarding the allergic response. 6. Fire off the dissociated state anchor [A1] and have the explorer begin to imagine being near the allergen. 7. Fire off the anchors for the desired state [A2] and counterexample [A3] simultaneously. “The basic NLP Allergy Technique has now been applied thousands of times in clinical and training settings and has been effective in changing a vast majority of allergy symptoms. The types of allergies have included those to airborne material, such as smoke, pollen, perfume, etc., to various foods, and even in cases involving asthma. In a study done in Salt Lake City (Hallbom & Smith, 1987), 32 individuals were guided through the allergy pattern for a multitude of allergies, including pollen, smoke and foods. They even treated a person who was sensitive to poison oak, which is a kind of an allergy. Out of the 30 people, all but three showed immediate reduction of their symptoms. Most of the people in the study, in fact, showed a complete suppression of the allergic reaction immediately after learning the process. A six month follow up revealed that only three of the individuals who had responded positively had any recurrence of their allergies. How Does NLP Help Allergies? The premise of NLP suggests that allergic reactions (an immune response from the body) are directly influenced by the mind and other psychological factors. NLP works by questioning these factors and teaches the individual how to have more control over his or her body’s response to allergens. Medical people agree that the chronic, allergy-related diseases (asthma, allergic rhinitis, eczema) can be triggered by stress, anxiety or strong emotions. NLP practically retrains the immune system to react less, if at all, to allergens. It aims to treat the allergy by re-educating the immune system to react passively instead of actively in response to allergens (and other foreign substances) via techniques of psychological reframing. Allergies can often develop in times of great change such as puberty, marriage, poor health and even parenthood. These changes can all affect us both externally and internally at a cellular level. With these changes in mind, NLP aims to help the individual identify how and when the allergy developed, and re-educates the body on how it may have acted differently. In training the imagination, NLP teaches the body what it needed to know to deal with the allergen at that crucial time of development, giving it a new point of reference for future encounters with allergens. "Amazing. After years of hayfever misery, one session of NLP has freed me." “The above (Tim Hallborn video)should cover your question about the process. As for the extraordinary evidence; for me, I had seasonal allergies relieved while learning the process. I have since used this process to alleviate pet allergies with a number of people and I have been able to alleviate lactose intolerance in one person as well. I agree that a large study should be conducted on this to give the general populous that don’t understand what the processes is about, the ammunition needed to make a reasonable decision. On the other side of this statement, without such a study, it’s also hard to condemn the process. Remember that an allergy can be the body’s way of communicating the need to take better care, slow down and return to a healthier way of living. A disease shows that the body is at dis-ease with itself.